Today the Lake Norman Regional Economic Development Corporation announced a new corporation relocating to the Lake Norman Region. ABB, the leading power and automation technology group, has selected Huntersville and the Lake Norman region for its new manufacturing facility to employ 100 people. Work will begin on building the new facility in 2011 and slated for completion in the later half of 2012. This announcement is great news for the Lake Norman region and a great success story for our communities. Over a decade ago, the Lake Norman Chamber created a long range vision for our region and hired the consultant firm of Leak-Goforth, LLC to help our community and business leaders create a blueprint for our economic development strategy. This strategy included the creation of an economic development authority whose primary mission is to promote the area for primary job creation and to assist larger corporate members in their expansion efforts. 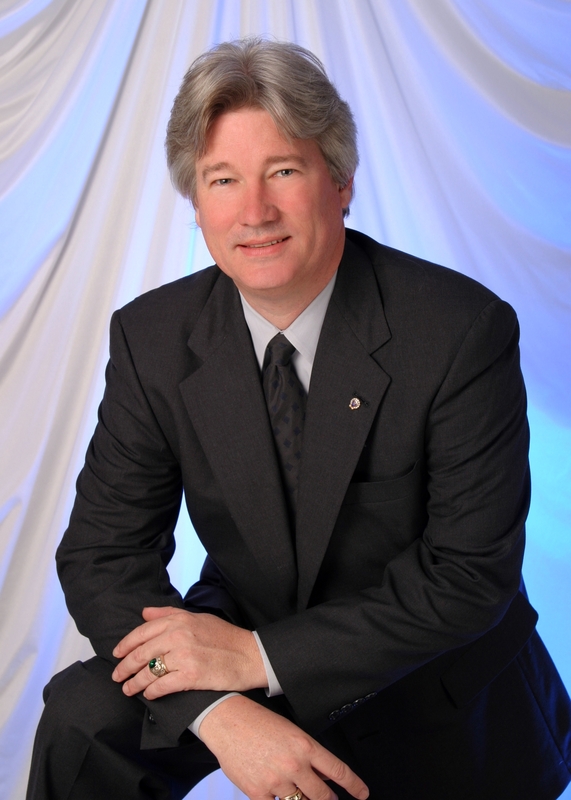 In November of 2002, our Chamber began to lobby local elected officials from the three North Mecklenburg Towns of Cornelius, Davidson, and Huntersville emphasizing that a regional authority was a much more efficient and prudent course of action than each town acting independently of each other. While each community has its own identity, strengths, and needs, we have much more in common and are much stronger as a region than to strike out on our own. Today’s announcement is a living testament to the faith those leaders had and the political courage it took to put aside the roadblocks that municipal boundaries impose when it comes to regionalization. The hard work of our local EDC office, the Charlotte Chamber, North Carolina Department of Commerce, Mecklenburg County, CPCC and the three towns, as well as the Lake Norman Chamber and the private investors which help fund the EDC, scored a big win for our community today. However, with all that said, ABB made the decision to locate to our region because it is a great place to live and do business. Every business owner, every employee, and every resident who works and/or lives in the Lake Norman region played an important role in today’s announcement. In 1987, local business leaders in the North Mecklenburg Community had a vision of creating an organization which could promote, represent and serve businesses in the three communities of Huntersville, Davidson, and Cornelius. Now, almost 25 years later, that organization has grown to a 1,100 member-strong Chamber of Commerce providing your business with networking opportunities, business training programs to strengthen your business, and important advocacy on issues ranging from labor and commerce to education and transportation. The efforts to create the Lake Norman Economic Development Corporation has resulted in jobs for our region, customers and clients for our businesses, and economic impact for local commerce. A seed was planted both in 1987 and again in 2002. Seeds which many years later are beginning to bear fruit. They were nurtured by every business and every volunteer who has made the Lake Norman area a great place to live, work and visit. 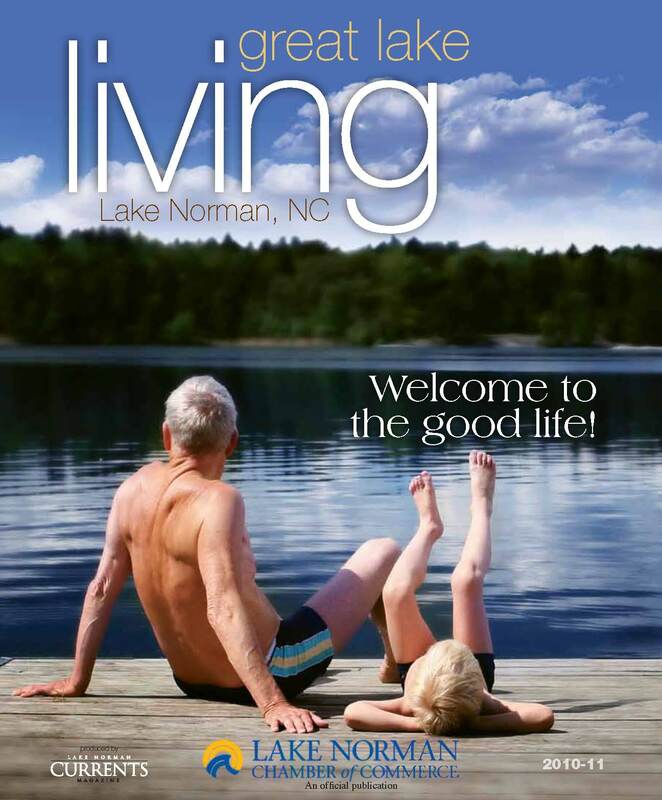 Thank each of you for your membership and your investment in the Lake Norman region. Congress – The American Lost Cause? 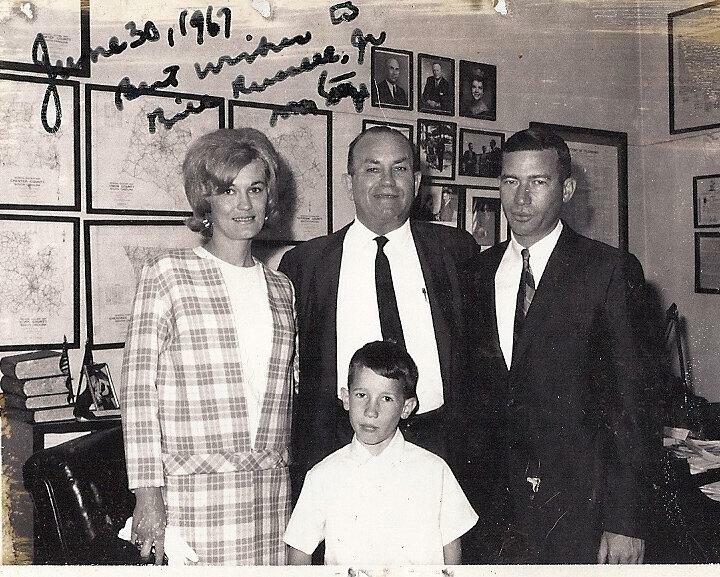 Bill Russell with U.S. Rep. Tom Gettys and Bill Sr and Sarah Russell. Congress – Our American Lost Cause? 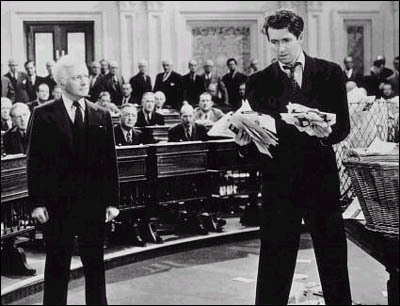 One of my favorite movies is Mr. Smith goes to Washington. In this 1939 film, Jimmy Stewart, the head of the Boy Rangers, is appointed by the Governor to replace the unexpired term of a deceased Senator. Ironically the film which is now a classic was attacked by the Washington press and then elected officials as Anti-American and Pro-Communist for its portrayal of the corruption in the American Government. This month, a delegation of business leaders from the Lake Norman Chamber will visit Washington as we meet with our federal delegation on issues ranging from highway improvements to health care and labor. It is an annual trip we make to advocate on behalf of our local businesses and the communities in which we live and work. My first trip to Washington, D.C. was when I was nine years old. My mom and dad were attending a Jaycees Convention in nearby Baltimore and upon its completion, Congressman Tom Gettys invited us to the capital. Rep. Gettys was not unlike the fictional Jefferson Smith. A Navy veteran, Gettys was a school teacher and then Postmaster for the City of Rock Hill. He was elected in a special election to fill a resignation of our Congressman and then was reelected to four succeeding terms. Rep. Gettys taught my Granddaddy Russell civics at Rock Hill High School and for many years after that, he and Rep. Gettys both fondly remembered the occasion. It was the first class he taught as a high school teacher. It is a lesson we could all heed in both business and politics. How many of us have attended a recent networking event and spent the better part of our time listening to someone talking about themselves and their product or service with the hopes of selling more? I doubt it left you with the strong impression you wanted to be that next customer. Instead, commit yourself to finding out more about the people you meet. How can you make them more successful? Can you help them get in front of that potential customer or client? In essence, help them reach their potential. While we understand well how important that principle is when it comes to networking and building solid a relationship, it seems few in Washington put the interest of others before themselves. Perhaps it’s a lost cause hoping that Congress will once again put the American people before the interest of their party. The fictious Sen. Jefferson Smith addressing Sen. Joseph Paine. But lost causes were precisely what Sen. Jefferson Smith in the movie relished. “All you people don’t know about lost causes,” he says 23 hours and 16 minutes into his filibuster. Directing his remarks to his chief adversary, Sen. Joseph Paine, he continues, “Mr. Paine does. He said once they were the only causes worth fighting for.” Congressman Gettys overcame long odds. He understood the lesson of putting others and service before self. It was a lesson he taught in his high school civics class. One that my grandfather later taught my dad and one that he later taught me. Some might think that’s a lost cause – but many of us believe it’s one worth fighting for!